The first part of the series addressed the Nationwide Ceasefire Accord (NCA) and the strategic geography resulting thereof, while this concluding section forecasts the three progressively intensifying post-election scenarios for where the polarized tension is headed. Because of its length, it’s divided into parts A and B, with the first one focusing on the post-election internal situation prior to the resumption of civil war, and the latter addressing what could foreseeably occur when hostilities break out once more. The elections have ended and Suu Kyi is content enough with its results that she doesn’t stir any anti-government destabilization. Intense polarization still remains over the NCA, and her camp (the National League for Democracy and affiliated pro-federalization rebel groups) is at loggerheads with the government, with the national reconciliation process largely coming to a standstill as both sides try to hedge against and outmaneuver the other via a complex series of political and ethnic alliances inside the newfound “democracy”. What’s really happening is that each bloc is consolidating its position in anticipation of what increasingly looks to be a renewed outbreak of civil war sometime in the future. As the country holds its breath, the India-Thailand Highway quickly fulfills its role in making Myanmar the integral connector country between India and ASEAN (and profits handsomely because of it), while China’s anticipated Indian Ocean corridor never sees the light of day and the security of its underperforming oil and gas pipelines de-facto becomes dependent on the (expensive) ‘goodwill’ of Suu Kyi and her friendly pro-federalization forces. Suu Kyi and her rebel friends dig in their positions both politically and physically, confident that the electoral results they just received give them a strong enough mandate to hold out against any forthcoming government pressure. They don’t anticipate the government going on any military offensives anytime soon, but they’re taking no chances and are arming themselves to the teeth just in case it gets any tempting ideas amidst the NCA and federalization deadlock. Always the skilled political opportunist, Suu Kyi does her utmost to position herself as Beijing’s most prized strategic asset in Myanmar. After all, she paid a landmark visit to the Chinese capital earlier in the year where she was wined and dined by the country’s top officials, including President Xi, in what was a telltale sign that Myanmar’s largest neighbor has given her its political blessing. 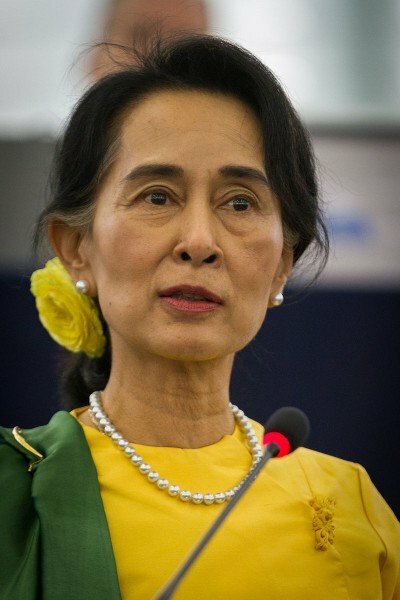 The reason behind China’s moves is simple to understand – Suu Kyi holds enough influence over the peripheral pro-federalization rebel groups in Shan State and the nationalist Buddhist monks in Rakhine State so as to literally be the deciding factor over whether China’s expensive oil and gas pipeline investments remain safeguarded or sabotaged. China may not like playing risky opposition politics with any of its ‘partners’, let alone one as strategically important and geographically close as Myanmar, but it almost has no pragmatic choice other than to engage with and de-facto ally itself with Suu Kyi. If China didn’t have influence over the border rebel groups before, then it surely does now, either directly in pursuit of a long-term effort to cut Suu Kyi out of the equation or indirectly through “The Lady” herself. Also, it’s important to mention that the upping of China’s bilateral relations with Arakan National Party leader Aye Maung immediately before the election has ‘paid off’ in this scenario, since his hard-core anti-Muslim party cadres ‘keep the peace’ between the nationalist Buddhists and any potentially insurgent Rohingya’s, but they paradoxically increase the chances that a robust uprising will inevitably transpire the moment that the central government’s grip has loosened. The reason that China has taken the controversial path of supporting such a sub-state ethnic nationalist strongman such as Maung could be because it wants to diversify the ‘security dependence’ of its pipeline terminals away from Suu Kyi and her proxies, while still being fearful enough of anything labeled “Muslim” so as ‘justify’ its reliance on a crackdown-prone stand-in and thus ignore the potential destabilization blowback that’s obviously brewing. Finally, because of the influence that she wields over Beijing’s pipelines, Suu Kyi could be said to have emerged as the “China Whisperer”, in that she has positioned herself as the main actor in Myanmar capable of talking to the Chinese and actually having them listen. This is actually quite dangerous, however, because she might leverage her influence in order to get China to back her federalist plans and support her allied ethnic proxies in Kachin and Shan States. In fact, if she plays her cards just right and is successful in becoming the ultimate wedge between Beijing and Naypyidaw, then she might even be able to convince China to arm her and her allies, especially if she tantalizingly frames the country’s polarized situation as a proxy competition between China (which supports Suu Kyi) and India (which supports the government). The government is expected to push forward with the NCA and firmly ensure that it is not amended in any way so as to support a federalized system. This is going to make it a very tough sell to many in the public who harbor pro-Suu Kyi, and thus, pro-federalization, sympathies. In fact, as Suu Kyi and her rebel ethnic allies use their government-provided parliamentary perches to proselytize their federalization ‘gospel’, more and more citizens will openly come to side with them and their federalized approach to solving the country’s civil war. This is expected to weaken the government’s support among the population, and can be said to represent a ‘pre-revolution’ of ‘ideological engineering’ prior to the coming hostilities. As the government loses ever more ground with the governed and becomes shockingly aware of this shift in support, it may predictably try to play up the economic benefit that its ‘pro-democratic opening-up’ has brought to the country, although as the population becomes accustomed to their rapidly increased standard of living, it’s expected that they’ll take such ruling party benefits for granted and not be persuaded to reconsider their political pivot. Partly as a natural consequence of increased trade relations with India, but also because of the need to counter-balance Suu Kyi and her ilk’s de-facto patronage from China, Naypyidaw will likely move closer to India, which for its part will be more than pleased to have ‘poached’ what used to be one of China’s closest allies just a few years ago. This new strategic partnership is expected to transform the Southeast Asian state by turning it into a bridgehead for Indian influence further into ASEAN, owing mostly of course to the India-Thailand Highway that will enhance New Delhi’s economic clout in the region. 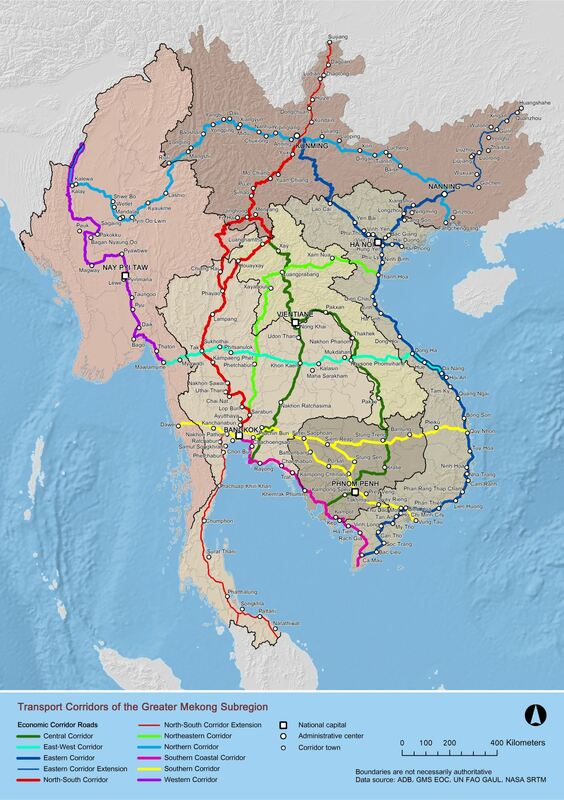 Myanmar will receive the given residual economic benefits for its transit state status, and could very well become a pivotal node between both points due to its concrete potential to cheaply and massively produce a variety of goods. Depending upon the level of complex economic interdependency that results between the two (which in any case is expected to be quite large due to how advantageous the relationship will be for each), India might even feel compelled to deepen its political and military ties with Myanmar as well. If this happens, then it could see India, not China as had been the case for the past two decades, becoming the state’s greatest foreign patron, both on the international political arena and in terms of weapons shipments and technical cooperation. If developments move in this direction concurrently with China’s deepening partnership with Suu Kyi and her pro-federalization allies (more out of blackmailed pipeline necessity than any objective reason, as one should recall), then the two Asian giants could enter into a proxy collision course when the two internal sides finally resume the civil war. As was inevitably expected, the two blocs in Myanmar, the unionists and the federalists, the central government and Suu Kyi & allies, militarily clash, and the on-edge and ultra-tense country immediately descends back into all-out civil war. It doesn’t matter what the spark was or who’s responsible for having set off, as both sides had become distraught enough with the other’s recalcitrance in the NCA and federalization debate that they had reached the conclusion long ago that armed force would ultimately be the only way to resolve the impasse. 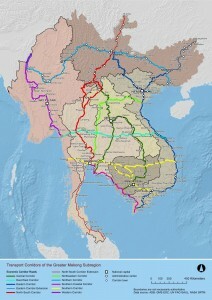 While the central government, as explained in Part II, could technically prosper simply by holding onto its formal and allied rebel territories due to the India-Thailand Highway that runs across this corridor, it may have become ‘trigger happy’ and anxious if it felt it was losing the support of the majority Burmese population to Suu Kyi and her federalization platform and that another Color Revolution attempt was imminent. Such a destabilizing asymmetrical reversal behind the government’s ‘own lines’, despite the misleading veneer of stability brought about by an Indian-assisted economic boom, could push it into making the riskiest calculation in its history, which would be to renew the civil war, but this time with the full intent of going as deep into the rebel’s territory as possible and cleaning them out once and for all. On the opposition’s side, they may have been fretting for a while that their covertly supplied Chinese arms might not be enough, nor of proper quality, to match or deter the Indian ones being delivered to Naypyidaw, thus leading them to commence a ‘first strike’ out of perceived tactical and military necessity. The problem becomes even more pronounced if either of the two external patrons (India for Naypyidaw, China for Suu Kyi and the rebels) ‘advises’ their respective side to preemptively engage in hostilities, or if they’re tricked by their proxy into supporting it in doing so in spite of not fully understanding the enormously complex and destabilizing situation that they’re getting themselves into. In any forthcoming conflict, the federalization bloc’s most important strategic weapon is the potential to launch Color Revolution unrest in Yangon, Mandalay, and/or other large cities throughout the Burmese heartland. Succeeding in this manner would decimate the government’s backbone of support and greatly facilitate its collapse and subsequent replacement by Suu Kyi and the federative rebels. If that can’t be achieved quickly enough or happens to be quickly squashed by the military in its early stages, then they’ll likely resort to more conventional means to weaken the establishment, namely through formal armed struggle. It’s impossible for the rebels to ever capture Naypyidaw (which is more like the world’s largest military base as opposed to a ‘civilian-run’ capital), but if carried out properly, then a feigned ‘suicide attempt’ against it could create just enough of a diversion to deflect the military’s attention away from more tactically important targets for regime change such as Mandalay (located in the north and somewhat near the rebels’ existing area of activity), be it through their outright militant capture or Color Revolution seizure. Complementary with the tactic of opening up other more ‘diversionary’ fronts, the rebels could leverage the support that Suu Kyi has among the country’s hyper-nationalist Buddhists such as the “Burmese Bin Laden” to provoke a massive anti-Muslim pogrom in Rakhine State that would surely tie up the military’s attention. It may not care so much about the Muslims themselves or even China’s pipelines, but what scares Naypyidaw the most is that the globally publicized killings of the vulnerable minority group that has garnered worldwide sympathy to could be used as an excuse for a multilateral international intervention into its affairs, and thus shift the balance decisively against it in this latest stage of civil warfare. Pertaining to this train of thought, the rebels might employ the last resort (or perhaps, their strategic first resort, depending on how it’s viewed at the time) of trans-border Naga terrorism against India in order to lure it into the mix. Although this might seem counterproductive considering that India is expected to side with the central government, it could achieve the major goal of prompting a sudden increase of Chinese technical support to their side, perhaps even culminating in a formal intervention to protect Beijing’s economic assets and act on the security dilemma that it believes it has with India in the country (especially if the Indians formally intervene there first, whether under an anti-terrorist justification or whatever other argument). From a military standpoint, the government’s main objectives are to secure the cities from Color Revolution mayhem and rebel seizure (especially in the case of Mandalay), stabilize Rakhine State, and move ‘in for the kill’ against Kachin State. The first two imperatives are understandable when one considers the abovementioned rebel strategy, but thus far, the analysis hasn’t spoken too much about the Kachins and their leadership role in Myanmar’s civil war. For the most part, the country’s northernmost province operates as a pseudo-independent state despite the military’s scattered presence there since a 1994 offensive, and the Kachin Independence Organization (KIO) and its militant Army wing are Myanmar’s second-largest rebel faction with an estimated 10,000 troops and another 10,000 reservists. As written about in Part I, the KIO hosts the National Socialist Council of Nagaland – Khaplang (NSCN-K) and the Arakan Army, as well as a handful of Shan State rebel factions, so it’s essentially become the nucleus of the country’s rebel activity. If the KIO were to be crushed, then it would shatter the cohesiveness and support that all of the country’s other non-NCA rebel groups (save for theUnited Wa State Army, the country’s strongest rebel group, which firmly controls a small amount of critical territory along the Chinese border) receive from their training safe havens in the province. However, this is much easier said than done, as not only has the KIO proven itself to be a formidable fighting force, but the densely forested and hilly geography makes it exceptionally difficult for ‘outsiders’ to control. If it can succeed in going against the odds and wiping the rebels out of their primary nest inside the country, then the military can have a much higher chance at successfully wiping out the rebels once and for all, while still tolerating the powerful United Wa State Army’s existence in their secluded and very small corner of the country. Finally, a few words must be said about forecasted fighting in Chin and Kayin States, the home of the Chin and Karen rebel organizations (all significant ones of which signed the NCA and are now aligned with the government). For the most part, none of the rebel groups signing on to the NCA are expected to actively engage in fighting on the government’s behalf and would likely remain neutral during any resumption of civil warfare, but the Chin and Karen groups are the only exceptions. Both would defend their territories against any outside rebels, and the latter could potentially even intervene in Mon State to the south (which hosts the anti-NCA New Mon State Party) if the federal rebels attempt any kind of destabilization there. This isn’t because of any ‘loyalty’ they have to the government, but rather out of concrete economic self-interest, since both have a critical stake in keeping the Indian and Thai borders open and safe so as to reap the benefits from the India-Thailand Highway, and the Karen are also concerned about retaining benefits from the East-West portion of the Greater Mekong Subregion Economic Corridor that runs through its territory (and also, incidentally, through Mon State). If somehow the Chin and Karen rebels were to join the anti-government federalists in any forthcoming resumption of civil war, however, it could potentially represent one of the greatest strategic pivots of the entire conflict and quickly lead to the government’s collapse. The civil war is raging throughout every part of the country by this point, and India and China, mainland Asia’s two largest economies and the world’s most populous states, are becoming ever concerned about the security of their major strategic investments in Myanmar, the India-Thailand Highway and the China-Myanmar oil and gas pipelines, correspondingly. They’re also backing two opposing sides, with New Delhi throwing its lot behind Naypyidaw while Beijing sides with the rebels (whether openly or not) and Suu Kyi (if she’s even still alive by this point, that is). The peak danger is that either state wouldn’t’ even be planning for an intervention per say, but that they’d find themselves unwittingly drawn in by the magnetic pull of centripetal events and their own strategic insecurities stemming from their security dilemma with one another. The movement of one Asian Great Power into the battlefield (or even rumors thereof) is enough to prompt the other to go in as well, and with both indirectly, and possibly even directly, clashing in the pivotal Indian Ocean state, it could turn out that the mangled remnants of the then-former Union of Myanmar become the graveyard of their 21st-century multipolar ambitions. There is perhaps no easier way to formally draw India or China into the Myanmar internecine conflict than for either of them to believe (possibly false and manipulated) rumors about the other going in first. If India catches wind of reports stating that China has a certain amount of on-the-ground special forces operating in eastern Myanmar (Kachin and/or Shan States) and assisting the rebels with their anti-government offensive against Mandalay or the diversion (perhaps a genuine push if aided by Beijing) to take Naypyidaw, then they might quickly react by dispatching their own contingent to the country to help prop up the government. Likewise, the same goes for China, and if it believes some (potentially unsubstantiated) reports that India is operating inside the country’s northwestern regions against Naga terrorists, for example, it might feel compelled to intervene and prop up its own allied rebels nearby, especially if it has reason to fear that India could target them next or as part of its comprehensive anti-Naga offensive. Succinctly put, the fog of war, coupled with the gigantic security dilemma between India and China, could prove to be the deadly mix that draws them deeper into Myanmar at the point of the state’s self-destruction. Similarly, any planned sabotage by the rebels against India and/or China’s infrastructure projects would obviously be justifiable enough grounds for either of them to intervene in the conflict if they so choose, which, it needs to be said, might have been the rebels’ strategic goal all along for a multitude of reasons. Aside from the above reasons for either Asian Great Power to directly get involved in Myanmar, a much more pressing one for each of them could be the incidence of cross-border raids against their territory. For example, recall the author’s suggestion in Part I to keep the NSCN-K in the back of one’s mind, as now is the precise moment when that factor of near-uncontrollable destabilization becomes most relevant. The resumption of all-out civil war in Myanmar could lead to an environment where the Naga terrorist group and its United Liberation Front of West South East Asia successionists-in-arms feel that it’s an opportune moment to once more strike against India, perhaps betting that New Delhi won’t risk the gamble of getting sucked into the Myanmar quagmire by responding. Quite possibly, however, they might miscalculate, especially given that India has genuine security interests that would be advanced by moving in to completely take out the terrorist group without any political considerations for Naypyidaw getting in the way this time. In the same spirit, if Kokang or other believed-to-be pro-Chinese rebels either went rogue in attacking China (unlikely) or in provoking the Myanmar military into accidental cross-border shelling like has happened before (much more likely), it could definitely preempt a forceful response by China, especially if Beijing is already contemplating a concentrated push to assist its proxies. Remember – any cross-border action by India or China, be it in response to a provocation or out of their own initiative, will result in an immediate and most likely symmetrical response from the other, and in such a tense international atmosphere between the two by this time, even simple rumors of such action could be enough to make one or the other ‘jump the gun’ and lunge into Myanmar. The final external intervention scenario deals with the consequences of large-scale violence against the Rohingyas in Rakhine State. The Muslims are expected to be cautiously allied with the government because of its responsibility in keeping the opposition Buddhist national mobs at bay, but during a complete breakdown of law and order, the state obviously wouldn’t’ be able to keep its commitment to the globally recognized minority group. Therefore, the situation arises where India, which has more Muslims than Pakistan despite being a Hindu-majority state, might either feel obligated to stage a ‘humanitarian intervention’, or at least cloth its actions with such rhetoric, especially if the international (Western) community presses it to act on their behalf. Automatically, this would elicit an instantaneous response from China, which justifiably would be concerned that its Indian rival is trying to seize control of its strategic oil and gas terminals along the coast. At this point, it’s difficult to predict exactly how Beijing would react, but it could either intervene directly in the east and/or ‘play the Pakistan card’ to divert India’s strategic focus back to its traditional western direction. Nonetheless, the two sides are guaranteed to enter into a formal and very tense Cold War if the Indian military moves anywhere near China’s Indian Ocean resource terminals, no matter what (humanitarian) justifications it gives for doing so. The Nationwide Ceasefire Accord (NCA) that was just signed, precisely because of the fact that its signatories do not encompass the breadth of the country, provides the most clear-cut indication of the battle lines that would be drawn if civil war were to resume in the near future. Such a negative scenario could realistically occur amidst a post-electoral fallout between the government and Suu Kyi & her rebel allies, or some period afterward as the government and opposition become militantly frustrated with a NCA standstill and frozen federalization talks, respectively. The resultant outbreak of violence is expected to engulf the entire country, as both sides fight an existential struggle for their survival, which would see the government moving to squash the rebel once and for all, while the rebels try to finally overthrow the government that they’ve been fighting against for the past 70 years (both through militant and potential asymmetrical Color Revolution means). In the heated fray that’s sure to follow, India and China seem primed to intervene, both out of their own economic self-interests in safeguarding their major strategic infrastructure projects through the country. It’s not that they’re eager to do so, but that they feel pressured to because of the extraordinarily intense security dilemma running between them. In the event that one of them takes the initiative in making a move in that direction (whether in response to a cross-border incident or infrastructure sabotage provocation), it’s a sure bet that the other will follow. Two rival Great Powers operating in the same battlespace wouldn’t be unprecedented, however, since it’s already happening with the US and Russia in Syria, but it if occurs between India and China, then this would shatter BRICS and the SCO and spell the beginning of an ultra-tense Cold War standoff between the world’s most populous states. This grand strategic result is the reason why it’s possible that an outside third-party such as the US might find a way to leverage the influence that it has with its on-the-ground proxies during the conflict in order to create the conditions necessary to bring this about, as an Indian-Chinese proxy war over Myanmar and the resultant Cold War that comes from it could be perhaps the greatest blow that multipolarity suffers this century. Andrew Korybko is the American political commentaror currently working for the Sputnik agency, exclusively for ORIENTAL REVIEW.